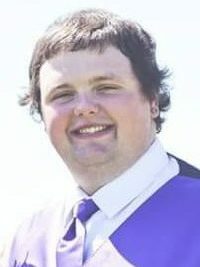 Jeremiah (Jeremy) Joseph LeClair - Edmonton's Burial & Cremation Professionals | Trinity Funeral Home Ltd.
With broken hearts and devastation, we announce the sudden passing of Jeremiah (Jeremy) Joseph LeClair of Sturgeon County, Alberta at the age of 27. Left to cherish Jeremy’s memory is his loving wife Jessica, his mother Dawn LeClair (Lou), his 2 brothers Stephen & Ryan, his step-father Ed Staranchuk (Vickie), Aunts and Uncles, Cousins, and many close friends. Carlos Beni, Jeremy’s father and Bobby LeClair, his uncle predeceased him. Jeremy was the kindest.. most loving.. the epitomy of what a man should be. What everyone should want to be. He was super understanding, humble, and had a heart of gold. Jeremy would do anything for anyone. The Celebration of Life will be held Friday April 12, 2019 starting at 2pm. It’s a “come and go” celebration that will go until late – nothing formal.. just some story telling.. some laughs.. some cries.. and some closure.. Wear purple in honour of Jeremy. Jeremy i know u niw with ur uncle bobby and ur uncle arthur they will keep u safe and u need to let ur mom know she is safe cuz ur watching over her and ur little brothers i miss u very much jeremy.love u always! Jer, hate that you are gone too soon. At least you arent in pain anymore.